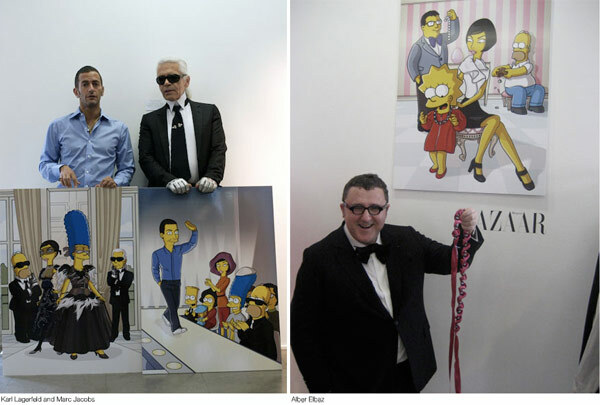 Ok so we all went nuts for that Harper’s Bazaar Simpsons go to Paris fashion spread… what’s better? 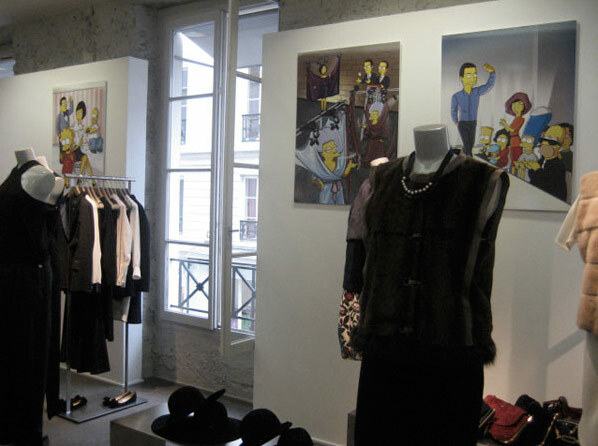 The images displayed gallery style, WITH the real designers in matching outfits, at Colette in Paris. 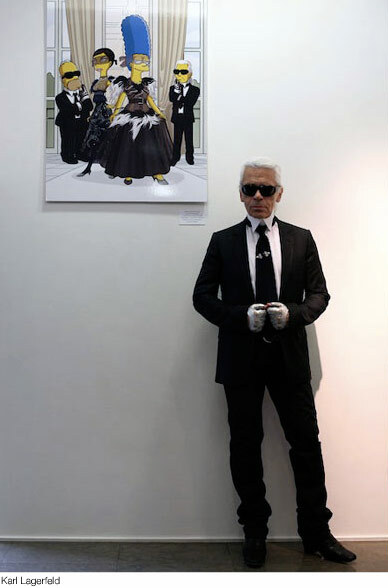 Try not to swoon until you’ve seen all the pictures, i wish i could be there in person. 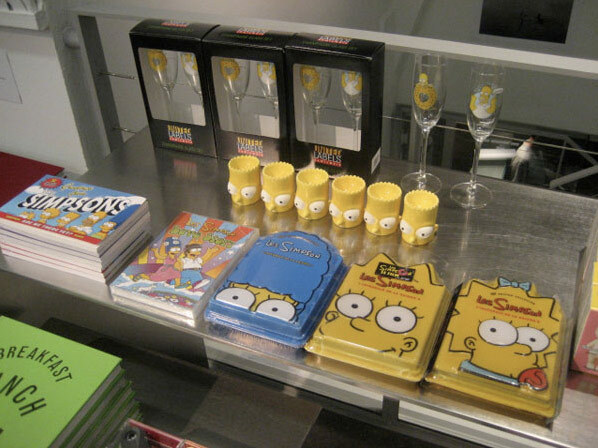 A few pics to get you started below featuring Marc Jacobs, Karl Lagerfeld, alber Elbaz, and some great simpsons champagne glasses and other products… view the full gallery here. Oh, and the movie was awesome and worth seeing by the way, it’s basically a giant episode, only they can do all the things they can’t do on tv. 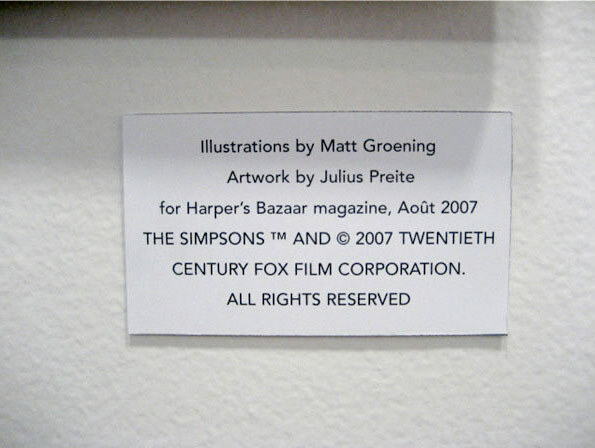 IT IS VERY AWSOME THAT THESE VERY RECOGNIZE DESIGNERS DID SOMETHING THAT IS SO POPULAR IN THIS DAYS SUSH AS THE SIMPSONS THAT HAVE A LONG HISTORY AND MEMORIES IN OUR LIFE. 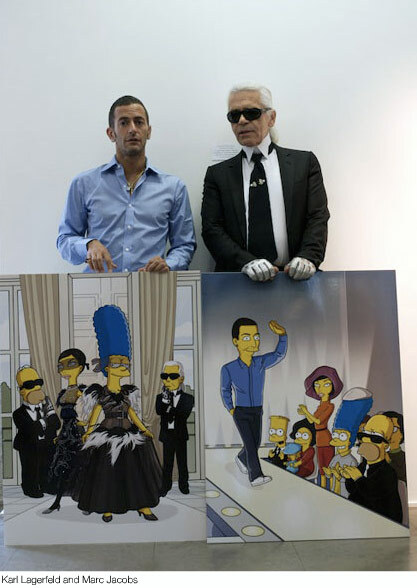 I REALLY APRECIATE THAT DESIGNERS ARE DOING SOMETHING MERE WITH THEIR DESIGNS THEY ARE EXPLORING NEW WORLDS. 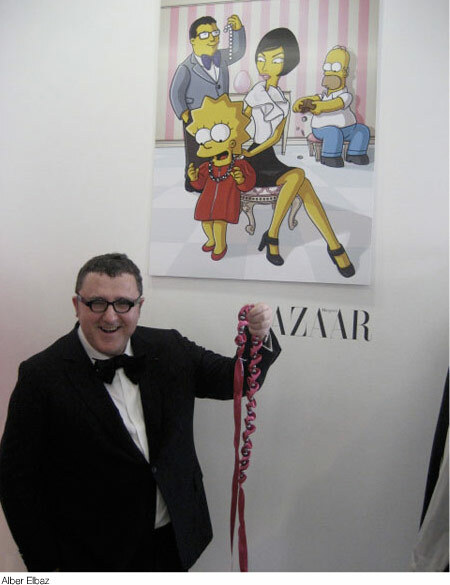 great shots of the exhibition, Matt really brought out the designers’ styles!